The Church Land Programme (CLP) - based in KwaZulu-Natal, South Africa - and Irish Methodist World Development & Relief and Christian Aid (CA) are walking together on a solidarity journey which connects locally and globally, south-north and south-south in a unique way. This approach of solidarity with those who are systematically excluded, contains important learning for a changing world that increasingly searches for new ways of engaging in development. CLP works to affirm, learn from and journey with those who are systematically excluded and impoverished in their struggles related to land and justice. 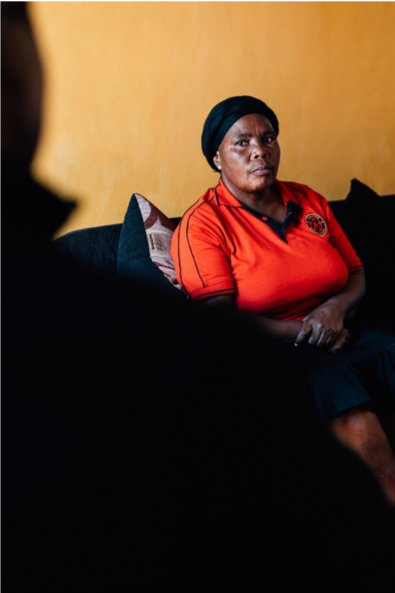 Within South Africa, CLP connects with local formations of activists, some formal and others less formal, but emphasize that all are equally important to assert humanity and dignity, resisting forces that want to dehumanize communities. CLP call their core approach “Animation”. This involves an iterative process that applies the learning and action cycle in people’s specific situations and with the intention that they mobilise themselves to act to change that situation in ways that they decide. CLP's work includes Rural and Urban Access to Land and Service Provision, Land rights Defence, Livelihoods Groups and Mutual Support. Among the formal local solidarity examples is the relationship with Abahlali base Mjondoli – the Shack-dwellers movement(Abahlali) which now has an audited membership of over 50,000. Abahlali fully sets the agenda, CLP does not dictate projects to Abahlali but over the last years has been walking alongside them in Solidarity, eg. CLP offers training of new community branches and expert advice and support in the strategic process. CLP attends Abahlali’s general assemblies, monthly national council meetings and political education camps allowing ongoing interaction with leaders enables feedback from leaders and ordinary members. CLP engages directly on two levels with the overall Abahlali hub collective (as a grouping of many communities) and on request with communities directly – in a flexible and adaptive way. Two Thirds of active participants in Abahlali are women, increasingly also in Leadership. Another example of a decade-long solidarity relationship is between CLP and the Roosboom United Churches Committee, which after a decade of advocacy finally achieved compensation for their Churches destroyed in the 1970s during the Apartheid era. Some of these Churches are now finally being rebuilt (see photos). Again, it is the community leading the efforts and setting priorities but CLP walking along with them and supporting the process and advising on legal and organizational aspects. Among the more informal struggles: some communities identified a new threat in the form of “fracking” (exploration for methane gas): The extractives industry is recently targeting certain areas of KwaZulu Natal and attaining exploration rights completely disregarding the communities that live there, potentially affecting their livelihoods, and possibly even displacing communities in future. Christian Aid’s South Africa Programmeenables connections, with a direct flexible funding of CLP’s organizational plan 2017-19 which helps enable the CLP approach of “Animation” and allows CLP the flexibility to engage with new opportunities and priorities like the emerging fracking struggle mentioned above. This is adaptive programming really driven by the needs and priorities of communities which emerge during regular dialogue and reflection. However, Christian Aid also connects with communities in the north. For example, we are arranging long-distance skype “Contextual Scripture Sessions” connecting people affected by “fracking” in both KwaZulu Natal, SA and Lancashire, UK. This is intentionally not a generic conversation but a specific two-way solidarity issue that really affects people’s lives. Otherwise CA supports CLP in monitoring and strengthening their collection of evidence and organizational capacity, as well as connecting via the Global Network, for example with Brazil. The Irish Methodist Church, through World Development & Relief, allows scale up of the CA core funding, with some additional funding which allows CLP to reach more people (in 2017 a total of 1,983 women and 580 women directly participated with an additional indirect reach of 17,000) but critically without adding to CLPs reporting burden nor adding inflexible project-style targets or indicators as all reporting happens jointly via Christian Aid and the flexible Solidarity “Animation” approach is fully respected – with CLP setting its own priorities and objectives which in turn are fully guided by the priorities of the communities. However, again this is far more than funding. the Irish Methodists also participate in the closer solidarity relationship. There have been visits from the Irish Methodist Church leaders and members without the burden of needing to formally “monitor” more in depth (a task left for Christian Aid in agreement, again avoiding duplication) but to understand the lived experience of the communities. For 2018 an extended youth event visit is planned by the Irish Methodists in this same understanding. In 2017 there was also a Communication visit with videos and photos – resulting in the photos used here (and many more) – which in turn allowed the Irish Methodists to bring this relationship closer to the Irish congregations. Christian Aid Ireland (CAI) has made this connection possible. CAI administers the relationship with several Irish church supporter groups – notably with the Methodist Church in Ireland through World Development & Relief in this case, and also helps to increase visibility of the work & the communities’ struggles for dignity. CLP has previously been invited (via Christian Aid Ireland) to engage in Ireland with the Irish Churches. These solidarity relationships enabled learning also for a new emerging effort by some European and South(ern) African members of the global ACT Alliance through the South Africa Ubumbano Solidarity hub process. This video shows the momentum towards our aim of creating a joint solidarity model of European and local ACT alliance members with South(ern) African partners with a shift of power towards the Global South. CLP has given major input into the thinking of this new approach and both CLP and CA are on the Ubumbano Solidarity Hub advisory group which is the main decision-making body of this joint network. 1. Are we holding the right boundaries (respecting democratic process without imposing)? 2. Are people and communities acting for themselves – building their own common vision?